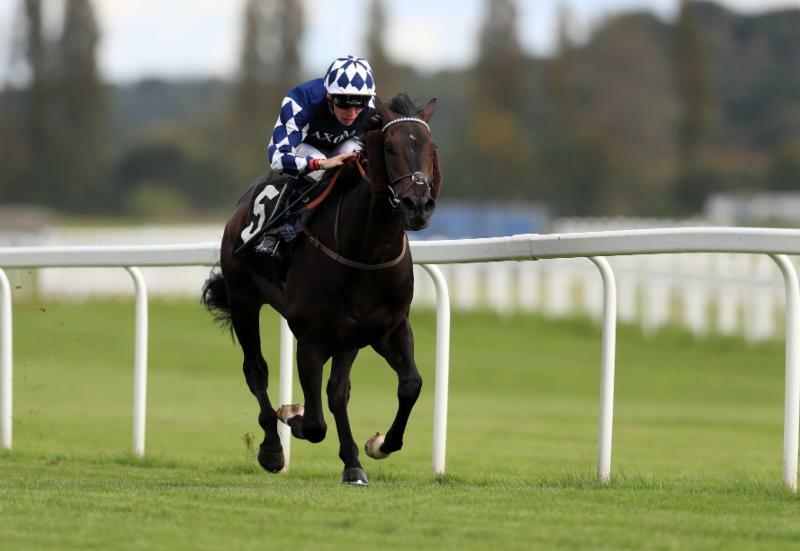 Heading the weights for the 2018 bet365 Old Newton Cup over 12 furlongs isBlakeney Point (Roger Charlton/Harry Burns (7), 9st 10lb, 10/1 with sponsor bet365), who was fourth in the 2017 renewal. The Carrutherstown-based handler is looking forward to running Atkinson Grimshaw(Jamie Gormley (3), 8st 6lb, 14/1) in the 2018 bet365 Old Newton Cup. Fellow Scotsman Mark Johnston, who is based in North Yorkshire, has landed the bet365 Old Newton Cup twice previously, with Star Lahib (2013) and Notarised (2015). Johnston saddles four runners this year – course and distance winner Sofia’s Rock(Silvestre de Sousa, 9st 5lb, 10/1, Listed scorer Titi Makfi (P J McDonald, 9st 3lb, 14/1), the consistent Aclimatise (Robert Havlin, 9st, 25/1) and recent Pontefract scorer Rainbow Rebel (Joe Fanning, 8st 11lb, 16/1). Wingingit (Andrew Balding/David Probert, 9st 1lb, 16/1) was a staying-on third in Listed company at Pontefract last time out, while the maximum field is completed byMount Tahan (Kevin Ryan/Shane Gray, 9st 7lb, 33/1), Tawdeea (David O’Meara/Kieran O’Neill, 8st 4lb, 20/1) and Koeman (Mick Channon/Luke Morris, 8st 7lb, 20/1). The bet365 Old Newton Cup represents the last tangible link with the old racecourse on Newton Common where horse racing took place from at least 1678 through to the move to the present course at Haydock Park in 1899. The tradition and heritage of the race makes the Old Newton Cup an integral part of Lancashire’s racing history and the community. The seven-race card at Haydock Park on Saturday, July 7 opens with the £100,000 bet365 Handicap (12.35pm, 11 runners), staged over 14 furlongs for three-year-olds. Ghostwatch (Charlie Appleby/Brett Doyle, 8st 12lb), both successful last time out, share 3/1 favouritism with bet365.